Gremlin it is! Little G for a nickname I suppose, haha. Thank you all for your suggestions! *sob* Primrose was the name of my first filly I got and trained on my own. She passed away last year. Gremlin got snowed on tonight while prancing around her little enclosure. Getting her used to the big horses in sections of time, because they don't quite fancy her yet, lol! She is so cute. So so cute. 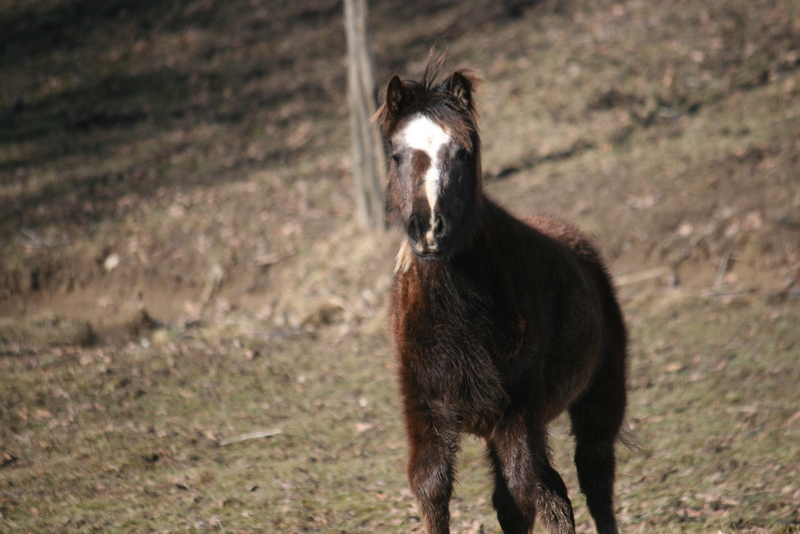 Her whinny is so shrill and adorable, I stop work and listen to it every chance I get!